A luxe look is yours with this wide gold and diamond bracelet. Crafted in cool 18K white gold, nine rows of round precious stones glitter from within nesting diamond shapes. 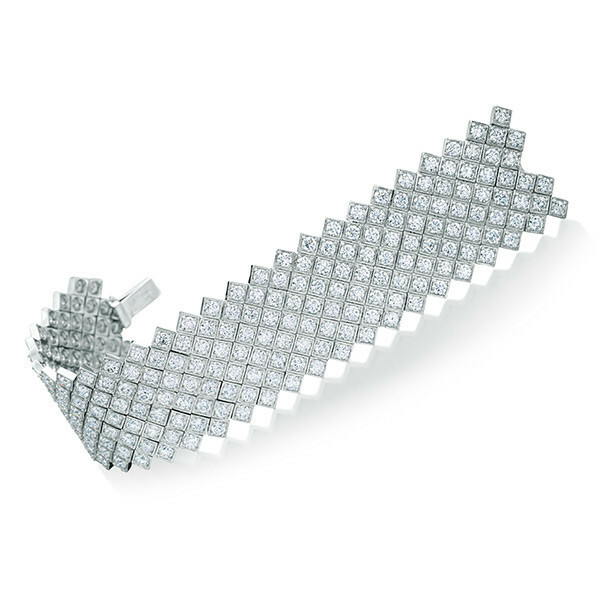 This statement-making bracelet is an exquisite piece of jewelry, for the most exclusive jewelry collections.